Life’s a beach? Not according to a new study from HSBC showing many Britons expect to keep working into their later years. A significant proportion of people in the UK do not expect to fully retire, according to a new report from HSBC, which suggests that the country’s retirement landscape is changing. The company’s Future of Retirement study shows that 19 per cent of staff in the UK expect that they will never be able to afford to fully retire, while 39 per cent of people who are already retired say that they had not adequately prepared for a comfortable retirement. 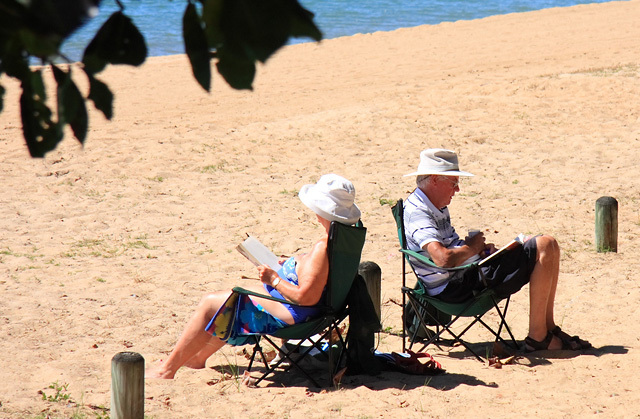 The survey revealed that 35 per cent of people only realised they were underprepared after retiring, and also suggests that the number of people who never expect to retire is higher among certain demographics. Britain tops the list of the countries that have the highest proportion of people who are divorced or separated that are expecting to work indefinitely, with this standing at 36 per cent, compared to just 20 per cent globally, while 31 per cent of those who are widowed have the same expectations, compared with 23 per cent across the globe. In spite of these findings, only two per cent of Brits who did not prepare adequately or at all said they would have to go back to work to cover their financial shortfall, compared to 44 per cent across the world – they are instead resigned to the notion that they will never be able to compensate for the shortfall. Although many people concede that they will have to work in later life, some are looking forward to the challenge, with just seven per cent of people in the UK saying they intended to start a business in retirement – however, this stands at 27 per cent across the globe, suggesting that Brits lack the same entrepreneurial spirit. Christine Foyster, head of wealth management at HSBC, said that whereas some people regard a comfortable retirement as a natural entitlement, for a growing number this is not the case. Respondents said that the key tactics for avoiding being caught short in retirement are not rushing into retirement, not relying on one source of income, planning retirement with family in mind, and being realistic about retirement outgoings. Couldn’t agree LESS than to give to the unemployed! These folk on benefits for being unemployed should be doing work for local councils after say 6 weeks of job hunting! even if its only hours to cover the cost of benefits. Everyone can work even if its licking stamps! This country is crazy when it comes to giving money away! I’ve just had a quick scroll down the blogs below and it doesn’t appear to me that there is overwhelming support for changing the system. If celebrities want to give their money to charities, let them do so. Goodness me the charities need it right now! I am always very sceptical of these polls – nobody ever asks me! The other 600 odd people who live on my estate who are all pensioners would mostly agree with me and in any case when you say 40% agree with this and 60% agree with that what are you talking about 40% or 60% of what, because 40% of nothing is nothing and guess what – 60% of nothing is also nothing. All those people that currently recieve it think they deserve it. If the state can’t afford it then somebody else’s benefit should be cut and not theirs. Those that are too young to recieve it and therefore are paying for it think it should be cut. So in other words everybody sees the problem through a rather selfish, self serving viewpoint. You don’t actually get it automatically. You are invited to apply for it. Then they decide whether you can have it or not. Once you have it, you may not be able to stop it. The rich should never have applied in the first place…unless of course, getting it and then donating it gives them some publicity. Let’s face it to people like Joanna Lumley and Rantzen it is pocket change. Seemple,as the meerkats say. Let the inland revenue and the benefits people get their heads together and not pay the benefit to those on the higher rate of tax . No costly means testing involved.